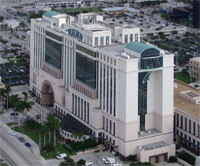 West Palm Beach, FL - The State of Florida charged Augustine Rivera, age 22, and Joel Rodriguez, age 20, with first-degree murder for killing 17-year-old Dalton Hobkins, Elijah Montas, age 17, and Aaron Valle, age 18, in November 2016. Outcome: Rivera pleaded guilty to second degree murder, burglary and grand theft. Rodriguez pleaded guilty to three counts of first degree murder and was sentenced to life in prison.